Since entering the profession I have been committed to research and publishing the findings. 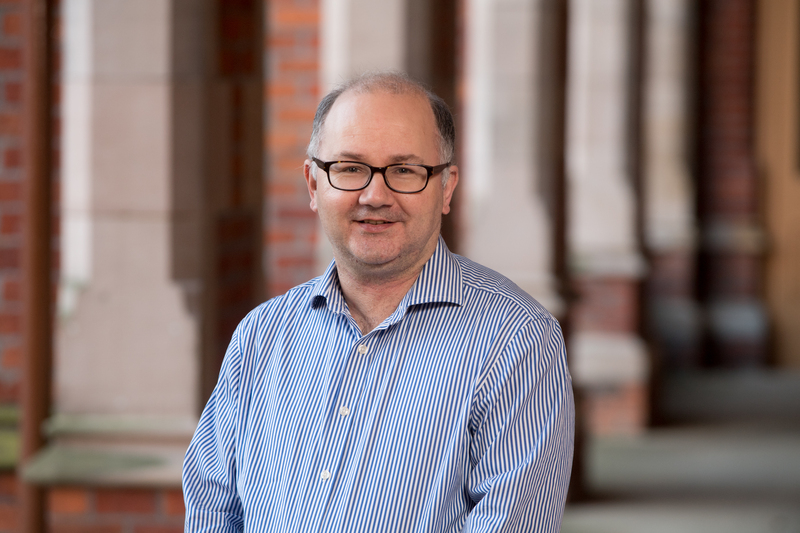 I have been entered in all three RAE cycles in which I have been eligible, namely in 1996 (at UU where the unit scored 4), in 2001 (as part of the Institute of European Studies, QUB submission which scored 5, 2007 and most recently in 2013 (Politics at QUB). Over the course of the last two decades I have developed both a national and an international reputation for expertise in the politics of competition policy and produced the first major work from political science on the EU competition regime. This was extensively rewritten (to account for major changes post 2000) for a second edition (in 2009) and has been followed by the first political science work on EU cartel policy. My works in the competition field have become standard texts and have helped to fuel a growing interest in this area not only among political scientists but increasingly among a new generation of both political scientists and competition historians. My work is continually cited and Google Scholar refers to 800 citations (September 2014). Strand 1: My main area of research centres on one the EU’s few exclusive competences (as identified under the Lisbon Treaty), namely European competition policy. This policy area is one of the few examples of genuine supranational regulation and an area where the European Commission maintains sole responsibility for policy implementation and one that is effectively ‘federal’ in operation. My interest first began with my involvement as a Research Fellow on an ESRC financed project on Comparative Competition Policy at the University of Exeter. This interest has developed very significantly since. My research in this area remains both innovative and has led to, and continues to produce, a growing number of seminal peer reviewed journal articles on this theme. My initial aim was to explore this core, and largely overlooked, competence and in the process to shed new light on the policy in operation beyond the vast number of works from both the disciplines of economics and law. My research activities can be divided into three phases. The first (1992-98) explored the institutions of European competition governance, namely the actors and arrangements for competition policy decision making in both the European Union and Germany. It identified competition policy as the `first supranational policy’ of the EU and as rather overlooked area of German politics. It also explored three (of the five) aspects of competition policy, namely cartels, mergers and monopolies. This initial groundbreaking work has been translated (1995 EJPR article) into other languages and the Governance (1999) article is being reprinted in 2013 in a volume on seminal works on antitrust policy - Library of Essays on Antitrust and Competition Law: 3-Volume Set. These works have also had impact in the legal literature on European competition policy. More recent works have explored notions of Europeanization and other theoretical approaches 'Journal of European Public Policy' and the 'European Integration On-line papers'_to understand the development of competition policy. These publications reflect a second phase of competition policy research (2004-8) that has sought to explain firstly, the major transformations to the EU competition regime that came into force in May 2004 (as part of the modernisation agenda and radical overhaul of policy worldwide) and secondly, to inject theoretical considerations into the study of modern competition policy vis á vis EU integration theory. For example, my paper, "Theorising European Integration: Revisiting neo-Functionalism’ is regularly listed on SSRN's Top Ten download list for: ERN: Political Economy. It has been downloaded some 600 times. A third phase of research in this area (2010-present) now envisages taking the study of competition policy even deeper by exploring the interactions between the EU regime and other regimes, and specifically the US case. This new comparative dimension envisages the exploration of fit and ‘mistfit’ between different regimes and the investigation of Americanization and policy convergence. It is delving ever deeper into the handling of cartels, the key target of contemporary antitrust and I have established links and ever growing contracts with fellow competition policy researchers based at, amongst others, Bordeaux, Copenhagen, Edinburgh, Exeter, Kennesaw State, Bilgit University, Nymingen and University College Dublin. Strand 2: The second research strand explores the impact of European Union membership for Northern Ireland under devolution after 1999. The research was prompted through the Labour government’s decision to re-introduce devolution to Northern Ireland in 1999. My research activities in this area were facilitated by two specific ESRC grants (outlined below) and have resulted in peer reviewed articles and book chapters. My experience here has been acknowledged by the local Assembly and the Office of the First Minister/Deputy First Minister (OFMDFM). I have, for example, been consulted by the latter on Northern Ireland’s strategy towards the EU and have been called on several occasions before the latter (Committee of the Centre/OFMDFM) that shadows the OFMDFM to give my views on the creation of a European committee within the Assembly and to comment on the handling of EU policy matters. It has led to several book chpaters and articles in journals such as Regional and Federal Studies' and 'Irish Political Studies'. This particular research strand has brought me into direct contact with the local policy community. I have addressed representatives from sectors of the private, public and voluntary sectors on numerous occasions (such as through AgendaNI, Belfast City Council etc). Strand 3: The third stream derives from my doctoral research which was concerned with the nature and role of right-wing extremism in Germany and especially the activities of neo-Nazi groups. The focus of the doctoral research was very much on exploring the characteristics and levels of right-wing violence. The research has been published in a book, several articles (e.g. 'Journal of Contemporary European Studies') and book chapter format. It also led to a successful grant application to the British Academy in 2010 to study the new far right grouping in the European Parliament. Publications in this area are increasing and 2013-15 sees a series of articles in 'Parliamentary Affairs', 'German Politics' and the 'Journal of Anglophone Studies'. In addition, I have been approached to contribute to a new book on the far right in the UK. This research had led direcyly to the creation of a research led to an extremely popular level 3 module on the Politics of the Far Right in Europe. It has also enavled me to establish links with other reseachers on the theme of the far right across Europe. Politics and Government in Northern Ireland.